Created by A.M. Lilly, this sculpture is named the “Suns and Moons”. It was commissioned in 2007 as a memorial for Benjamin Thompson, an AIA gold medal architect and designer. 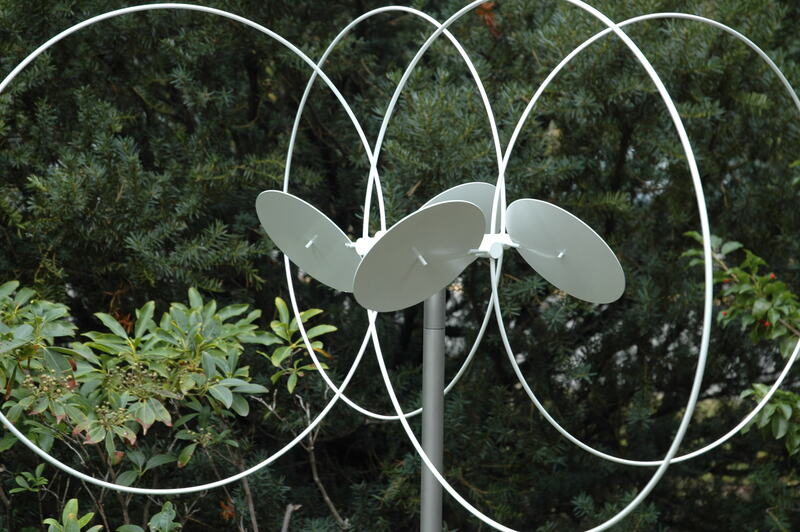 This unique memorial is a wind-activated kinetic sculpture, composed of hoop and disk elements that were inspired by one of Thompson’s watercolor drawings. Benjamin Thompson is buried at Lot 10762, Halcyon Garden. 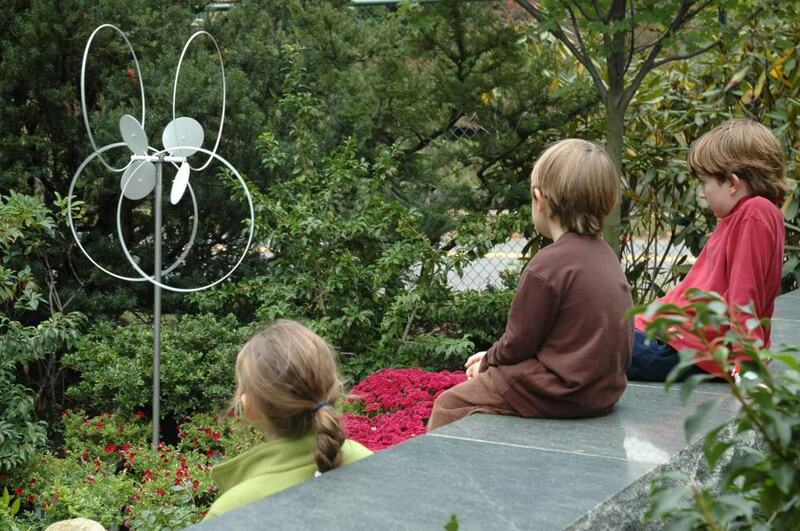 The kinetic sculpture can be found at the south end of Halcyon Garden.